If you’re ready to buy or lease a new car, then the pros at our Honda dealership near Clovis, CA, are ready to help you get the keys. We have a vast inventory of new Honda models available on our lot, and we’re fully confident we have the car, truck, SUV or van that’s right for you. The new Honda Civic and Accord are both ideal for daily commuters, while our collection of new Honda Pilot and CR-V models will provide all the versatility you could ask for. Of course, you can also buy or lease a Honda Ridgeline truck or Odyssey minivan for specific needs. 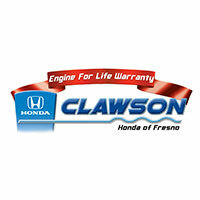 Come walk around our showroom and find your dream car today at Clawson Honda of Fresno!